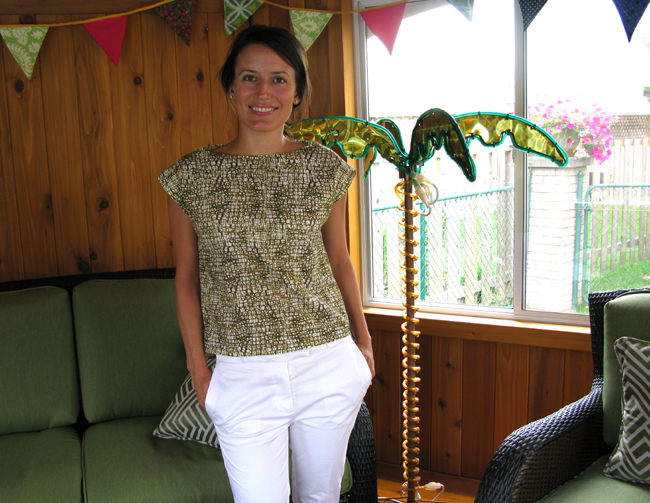 I found this simple pattern for a dartless top with a slash-back, that was the kind of simple summer sewing project I was craving. The pattern itself is just a shapeless square. The back is cut in two to create the peak-a-boo feature. 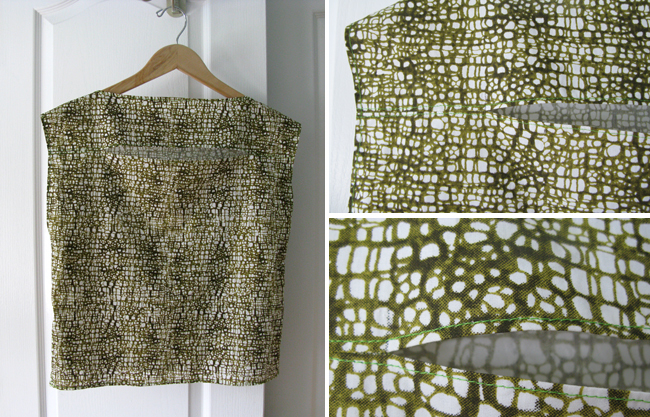 I assembled it over a couple of glasses of wine, using my leftover fabric from the gathered dart skirt, and wore it out that evening. It was the perfect kind of no-fuss sewing project for when you would rather be outdoors. You could replicate this on any top or dress pattern. Just slash across the back, sew in from the sides, say 10 cm, and topstitch down the seams. 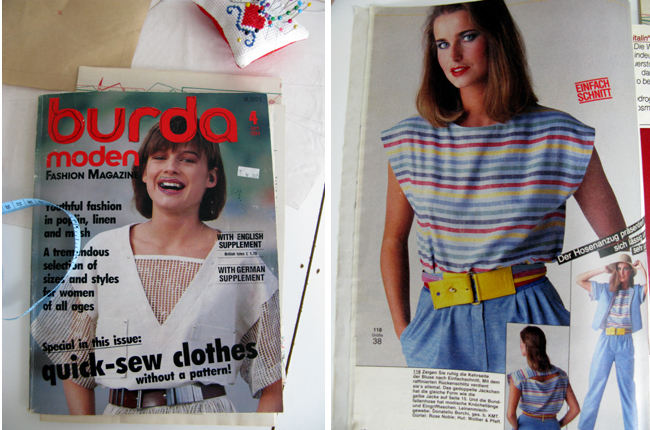 I noticed a lot of the belts featured in the 1984 Burda (below) look like the kind I've been seeing for Autumn 2012. Maybe it's time to revisit some of these forgotten 1980s details? Until then, I'm off for a Pina Colada. Happy Summer everyone! Hi there, thanks very much! Looking forward to following your blog! 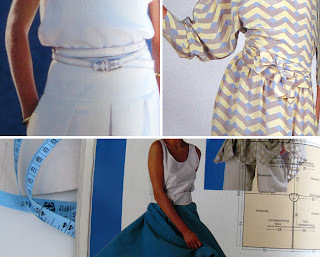 I really love this 80's pattern, but I also love how modern you made it with your fabric choice. So cool. Oooooh! I like it very much. Beautiful fabric for the blouse! I am very impressed with your sewing skills, and with the results. The photos are beautiful as well. Koodos to the photografer! Very well done! Oh thank you very much madame Pelagie! The photos on your blog are fabulous - looking forward to more! Hi Sylvia, thanks very much!